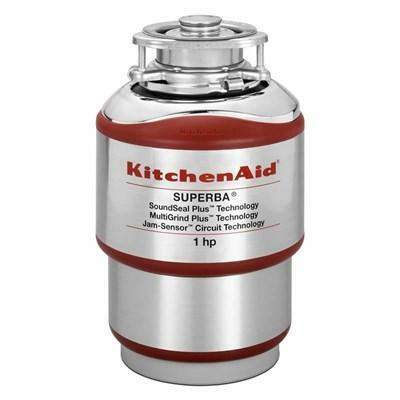 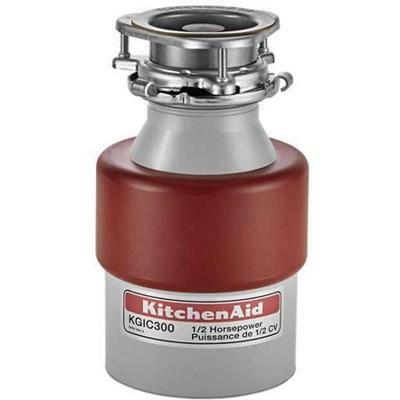 This KitchenAid 3/4-horsepower continuous feed food waste disposer delivers quiet, powerful performance. 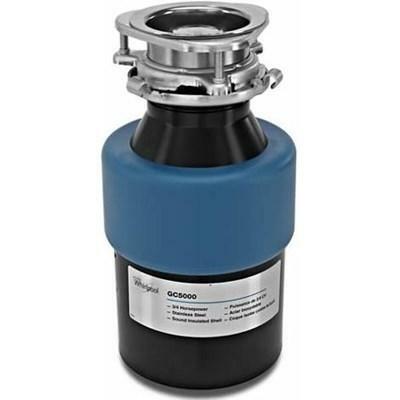 The continuous-feed system allows you to efficiently get rid of large quantities and features overload protection for added safety. 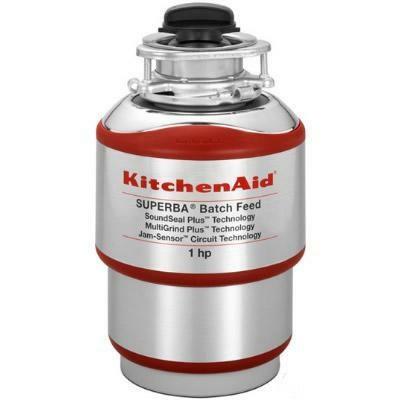 Kitchen Aid 1/2 HP food waste disposer with a continuous feed system. 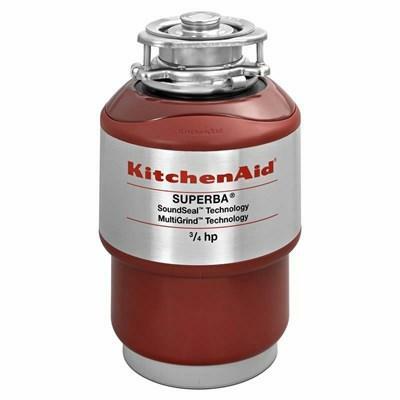 It features a 26 oz. 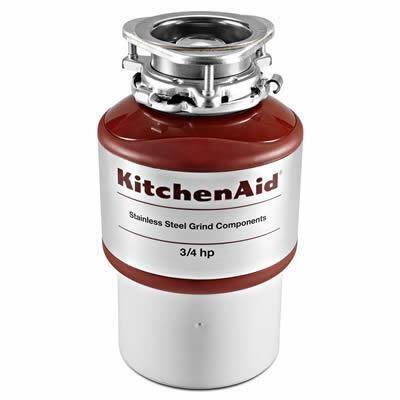 chamber capacity, dishwasher connection, corrosion-resistant grind and drain chambers, and galvanized steel shredder ring and grind wheel.